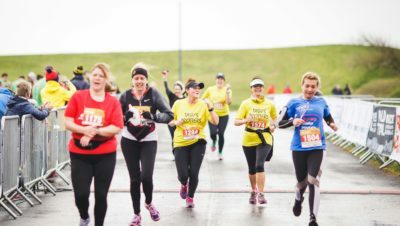 The sun always shines for the Brighton Marathon Weekend but this year, despite the sun, it was a pretty windy and chilly affair. 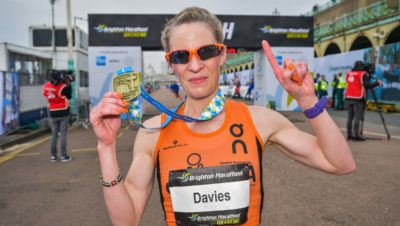 Despite the windy conditions Helen Davies made it an incredible three wins in a row when she raced to victory in the marathon yesterday (14th April). 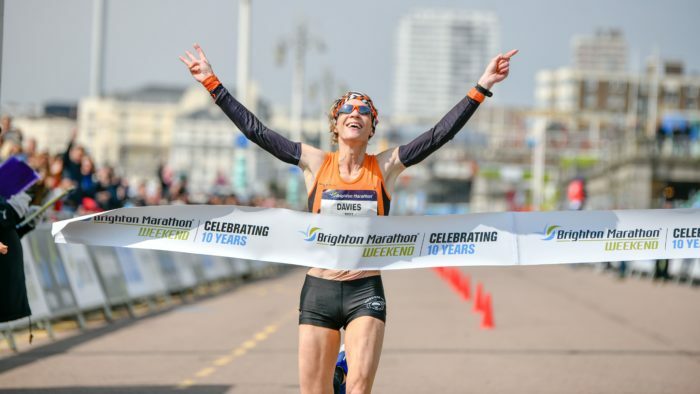 Helen knocked four minutes off her fastest time at Brighton to finish in 2:34:08 and it was an emphatic win, with 14 minutes between her and second-placed woman Jill Collett (02:48:16) with Johanna O’Regan came in in third at 02:49:41. 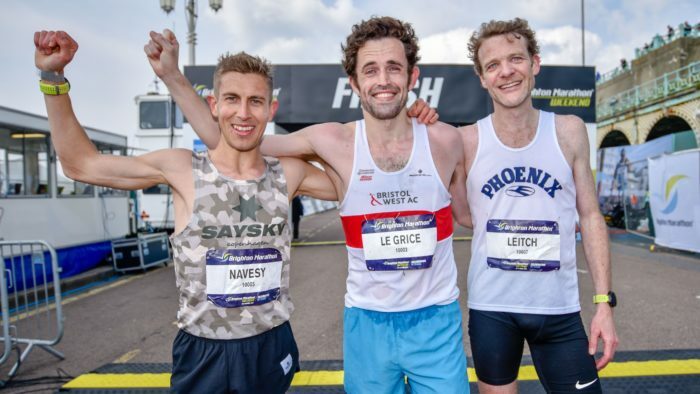 The men’s race was a closer business but Peter LeGrice was still a pretty emphatic winner and took five minutes off his PB (and over two minutes off the British course record) to win in 2.16.23. Paul Navesey was second in 2.18.17 and Ian Leitch was third, making it a British 1-2-3, in 2.18.34. This year the 10k was also serving as the England Athletics National Championships. This attracted a top field, which made the men’s and women’s race wide open and exciting, and it meant that both course records were broken. In the women’s race, former World Junior 1500m Champion, Steph Twell (Aldershot Farnham & District) blitzed to a new course record and significant personal best of 31:58. The battle for second was won by Mhairi Maclennan with 33 minutes exactly just ahead of Emily Hosker-Thornhill in 33:04. Nick Goolab, with arguably the performance of the day, smashed the men’s course record by over 40 seconds in a time of 28:22 to comfortably take the English title. Pre-race favourite Chris Thompson, suffering from a cold, dropped out at around 6km leaving Adam Hickey to take the runner up spot in 28:53 improving on his third place in 2018. Just behind him to complete the top three was Andy Heyes with 28:56. 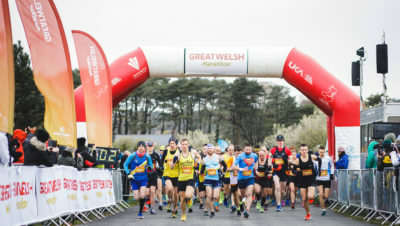 A further three men broke the 29-minute barrier in a display of unprecedented strength and depth, with no less than 19 men breaking 30 minutes. 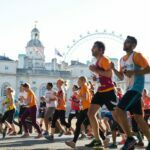 In addition to the marathon and 10k over 1,100 cyclists took to the streets of Brighton and Hove for a closed road ridge through the city and along the seafront. There was also a Cancer Research UK kids and teens mini mile race, which was free to enter (thanks to British Airways sponsorship). Nearly 2,000 children and teens took part, raising money for the charity.